First impressions mean everything, especially in today's web-driven world. RepCleaner helps you stand out by vocalizing your silent majority. Unhappy customers don't normally tell you what's wrong. RepCleaner offers an easy outlet to provide constructive criticism in a private manner. Only 24% of web users post reviews about their experiences, and many of these are negative. RepCleaner guides happy customers to the right places, increasing your online ratings and improving your popularity. 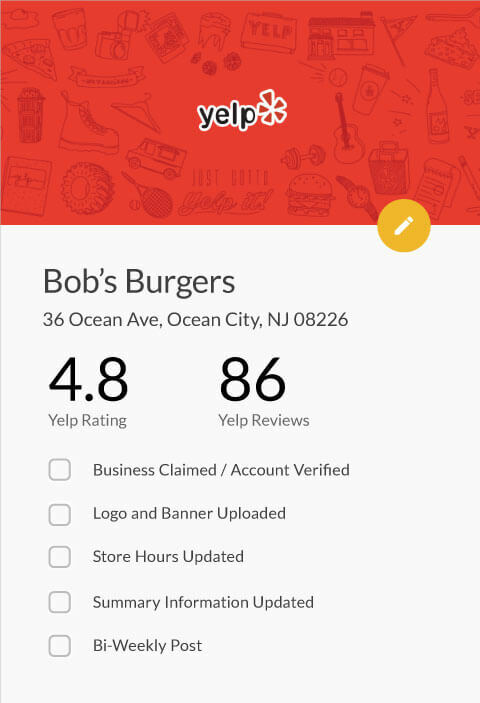 Based on a Harvard Business Study, a 1-star increase in rating can result in a 5-9% increase in revenue! Receive feedback in real time via SMS or email to offer on-the-spot solutions to unhappy customers. This means negative comments aren't posted online, but sent to your phone or smartwatch. 95% of unhappy customers return to a business if their issues are resolved in a timely manner. Style and substance without needless bells and whistles; our dashboard is streamlined to provide you with important information. Understand your strengths and weaknesses so that you can make the necessary adjustments to improve customer satisfaction. Customers who feel heard will trust you more. Have your dashboard running within minutes of picking your plan. Monitor your business's ratings while a Rep puts together a customized system to help you improve your online presence. Easily implement your system in-store. A guide will be sent to you for your team in case you need it.